To view our current laboratory openings, click here! Laboratory Corporation of America provides leading-edge medical laboratory tests and services through a national network of primary clinical laboratories and specialty testing laboratories. With scientific expertise in esoteric testing, genomics, and clinical and anatomic pathology, LabCorp processes tests on approximately 470,000 specimens each day, applying advances in medicine and science to laboratory testing. 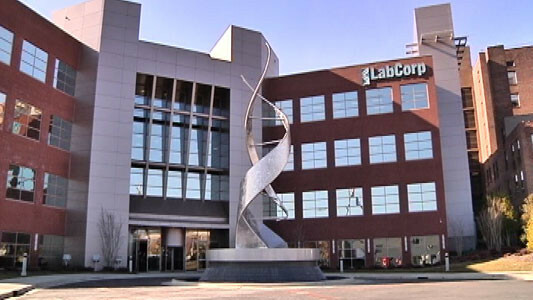 LabCorp operates a sophisticated laboratory network, with corporate headquarters in Burlington, NC, and more than 34,000 employees worldwide. LabCorp has 220,000 clients including physician offices, hospitals, managed care organizations, and biotechnology and pharmaceutical companies. LabCorp’s expertise is rooted in their dedication to providing physicians with timely, high-quality laboratory tests and services that help them provide improved patient care. In addition, LabCorp is committed to assisting in the development and delivery of new laboratory tests that provide enhanced accuracy and additional clinical information. Customers include physicians and their patients, hospitals and managed care plans, private employers, military and law enforcement agencies, and pharmaceutical and biotechnology companies. 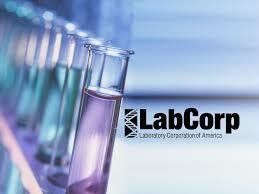 LabCorp is one of the premier clinical testing laboratories in the world. Each employee plays an essential role in everything they do, and ultimately, everyone they help. Their industry-leading reputation and innovative technologies have made LabCorp the choice for healthcare professionals across the country. As a pioneer in advanced genomic testing, they continue to attract the leading minds and technological experts in the field. As one of the premier clinical laboratories in the nation, LabCorp is at the forefront of new molecular tests to diagnose, treat, and manage diseases, particularly in the areas of infectious disease, oncology, and genetics. With a career at LabCorp, you’ll have a unique opportunity to do what most people dream of – make a world of difference. LabCorp connects their company and their people in ways that few companies can. Each day, team members have an opportunity to build rewarding careers and experience the satisfaction of knowing the work they do helps save lives. If you’re looking for a career that offers opportunities for growth, continual development, professional challenge and the chance to make a real difference, review the LabCorp job opportunities at Greene Resources. As the Master Vendor for LabCorp, Greene Resources is recruiting candidates for both contract and direct hire positions. See below for a list of departments where we are actively seeking talented and highly motivated individuals. We look forward to assisting you in finding the right opportunity at LabCorp. For more information on LabCorp, click here to be redirected to the LabCorp corporate website.